Is your skin feeling dry and tight -- even itchy or flaky? Any number of things can strip your skin of its protective oils. The result: Everything from chapped lips and itchy skin to cracked heels. Relief is in your grasp. Use this guide to see top cold-weather threats to your skin and what you can do about them. No one is immune from dry lips in winter! Here’s how to cope: Drink plenty of water to stay hydrated and use a humidifier at home. 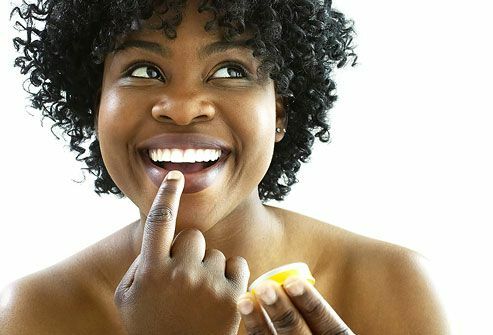 Liberally apply beeswax or petroleum jelly to your lips. Put on lip balm or lipstick with sunscreen every time you go outside. Avoid being in the sun and wind too much. Don't lick your lips -- it may feel better briefly, but it only makes chapped lips worse. Painful, cracked heels are a common skin condition, especially in winter. They are often caused by dry skin. Having calluses around the rim of the heel can complicate the problem. In some cases, dry cracked feet can lead to infection or make walking painful. Keep feet healthy by marinating cracked heels in petroleum jelly, covering them with plastic wrap, and putting on a pair of socks overnight. You should see improvement in a few days. Your hands may be hard hit by the cold winter air. Washing your hands frequently helps eliminate cold and flu germs, but it also increases dryness. And unless you wear gloves every time you go out, hands may be more exposed to cold than other parts of your body. Give dry hands some extra TLC by using a glycerin-based moisturizer when you wake up, before you go to bed, and any time your hands feel dry throughout the day. The same products that keep your face looking fresh in the spring and summer may cause skin problems during winter. Choose a gentle, super-fatted, fragrance-free soap -- bar or liquid -- for cleansing. Super-fatted means the soap is loaded with oils. Use a non-astringent toner, or just skip it altogether. If skin is dry, moisturizers that contain urea, dimethicone, glycerin, lanolin, or mineral oil can be good bets. Should you change your moisturizer? Maybe. 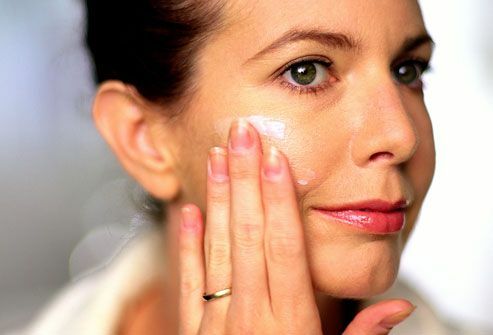 If you usually use a light lotion, try a heavier cream, at least on dry skin patches. 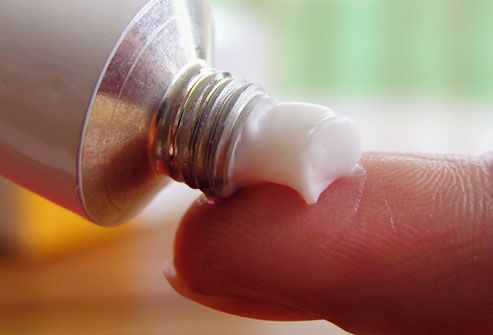 Ointments -- like petroleum jelly -- have more oil than creams or lotions. That makes them more greasy, too, so they may be best for feet and body. Minimize the greasy feeling by using a very small amount and gently but thoroughly rubbing it into skin. Apply after a warm shower (more on that later). Humectants -- like urea, glycerin, hyaluronic acid, propylene glycol -- absorb water from the air. They are oil-free. Emollients -- like baby or mineral oil, plant oils (like jojoba oil), petroleum jelly, lanolin, stearic acid -- help replace oils in the skin. Many moisturizers contain a combination. You may want to skip some anti-aging moisturizers in winter. 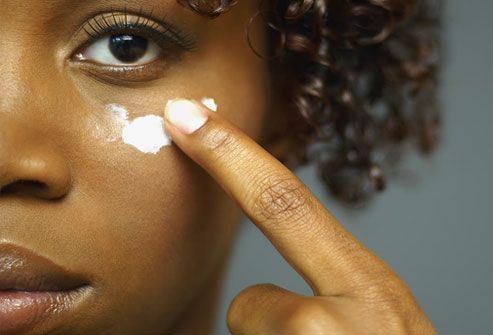 Those that contain retinoids can further irritate already dry, sensitive skin. To get the most out of your moisturizer, exfoliate. Clearing away dead skin cells lets a moisturizer better penetrate dry skin. Exfoliate gently with a moisturizer that contains lactic acid or salicylic acid. Some exfoliants can be irritating, especially in winter, so try them on a small patch of skin first. If your skin is really dry or irritated, ask your doctor before starting a new skin care product or regimen. A shower can add water to your skin -- as long as you keep it short and sweet. Long, hot showers can actually draw moisture from your skin. Appealing as a hot shower on a cold morning may be, lukewarm water is a better choice. It won’t strip away skin’s natural oils. Right after you step out of the tub, pat skin dry and apply moisturizer to retain the water your skin just absorbed. A glycerin- or hyaluronic acid-based moisturizer can increase the amount of water that’s drawn into your skin. Baby oil (mineral oil) is also a good choice, because it prevents water from evaporating from your skin. Don't stop there: Liberally re-apply moisturizer throughout the day, especially to troublesome dry skin patches. It's cold outside! So you're staying inside, with the heat on. That warm, dry air can mean parched, dry skin. 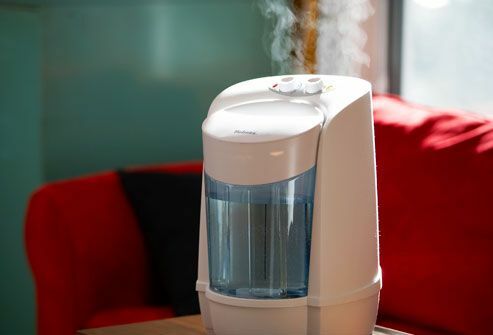 Use a humidifier to restore moisture to the air. You can find inexpensive models at most drug stores. Put one in your bedroom; better yet, invest in two or three and place them strategically around your home to stave off irritated, itchy skin this winter. Protect your hair this winter by shampooing every other day instead of daily. Shampoos and excess shampooing can strip hair of moisture. Use warm water and a mild shampoo with sunscreen. Apply extra conditioner to keep your hair hydrated, shiny, and soft. Don't overstyle with the blow dryer or flat iron. And protect your hair from the elements by wearing a hat. Think you can't get a sunburn in winter? Wrong. 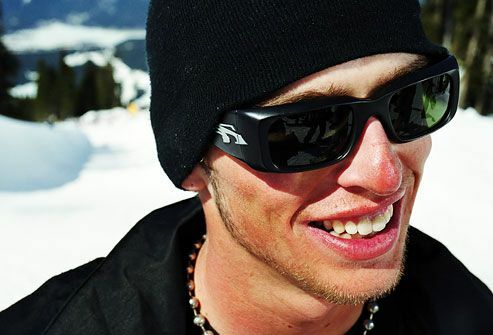 Skiers and other winter athletes are at special risk of sunburn because snow reflects sunlight. In fact, it bounces 80% of the sun's rays back to us, compared to less than 20% for sand and surf. Even if you're not hitting the slopes, you still need the protection of a sunscreen with an SPF of 30 or more. Apply daily, and reapply at least every two hours if you're outside. 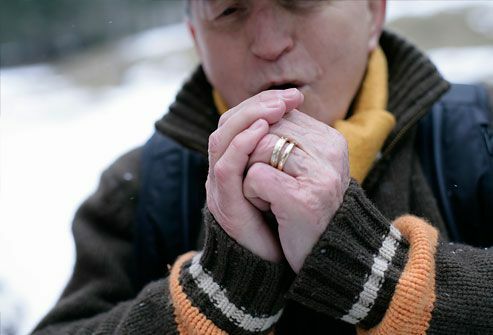 Frostnip, a mild form of frostbite, tends to affect the earlobes, cheeks, nose, fingers, and toes. Signs of frostnip include pale skin, numbness, or tingling in the affected area. 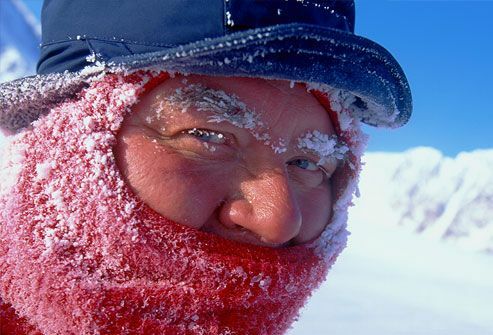 Avoid frostnip by dressing warmly, including a hat, earmuffs, and gloves. The best treatment is to re-warm the affected areas. Although frostnip is uncomfortable, it doesn’t cause any damage to skin. Frostbite is more serious and can cause lasting damage. Deeper tissues freeze, causing skin to become hard, pale, and cold. It may ache but lack sensitivity to touch. As the area thaws, it becomes red and painful. Hands, feet, nose, and ears are most vulnerable, but any body part can be affected. Treat frostbite by getting to a warm place, wrapping affected areas in sterile dressings (separate fingers and toes) and going to an emergency department immediately. Don't rewarm affected areas if there's a chance they could freeze again. Dry winter skin can be incredibly itchy. 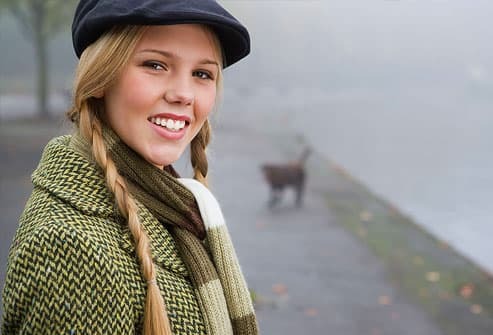 Beat itchy skin by taking a lukewarm bath with oatmeal or baking soda, reapplying your moisturizer frequently, and steering clear of wool and other rough fabrics. If these techniques don't make a difference, see a dermatologist. You may have an underlying condition such as eczema or psoriasis that requires different treatment. Eczema is an umbrella term for different kinds of skin inflammation. It is marked by dry, reddened skin that itches or burns. When skin becomes dry and irritated in winter, eczema can flare. 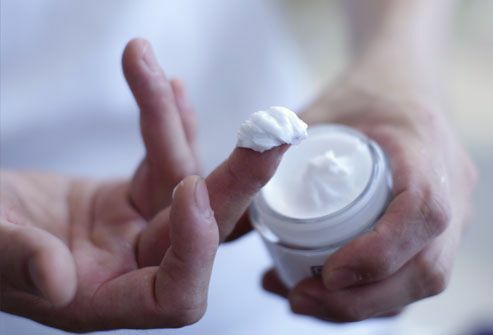 Stay one step ahead by moisturizing frequently with an oil-based ointment that contains sunscreen. Sweating and overheating can also trigger the itch/scratch cycle, so dress in easy-to-peel-off layers. Ask your dermatologist about prescription treatments. Psoriasis is more than dry skin. It's caused when the immune system misfires and speeds up skin cell growth. Dry air, lack of sunlight, and colder weather can make it worse. Follow tips for dry skin: short, lukewarm showers, lots of moisturizer, and humidifiers throughout the house. Ask your dermatologist about phototherapy, which uses ultraviolet light B (UVB) rays to slow the growth of skin cells, and about the best treatments for you. Cary M. Golub, DPM, podiatrist, Long Beach, NY. Mitchell Goldman, MD, medical director, La Jolla Spa MD, La Jolla, CA.